agents, his defence team has said. Lawyer Hanan Al-Khomeeri told Al-Araby Al-Jadeed that “senior” politicians, businessment and security agents were “complicit” in the assassination, adding that some security agents disclosed “important” information about the case. She had been commissioned to take over the case by Al-Zawari’s family after the first defence team became an “obstacle” to revealing the facts surrounding the case. Al-Khomeeri added that Al-Zawari’s widow, who is Syrian, has received repeated threats. He questioned why an Israeli journalist who had been in the country on 18 December 2016 was allowed to leave without being questioned. Al-Iyadi said the journalist had been caught taking pictures of the headquarters of the Ministry of the Interior but was released without being questioned. Interpol, he explained, did not cooperate with Tunisian authorities in this issue. The lawyer estimates that there are around 300 undercover Mossad agents in Tunisia. 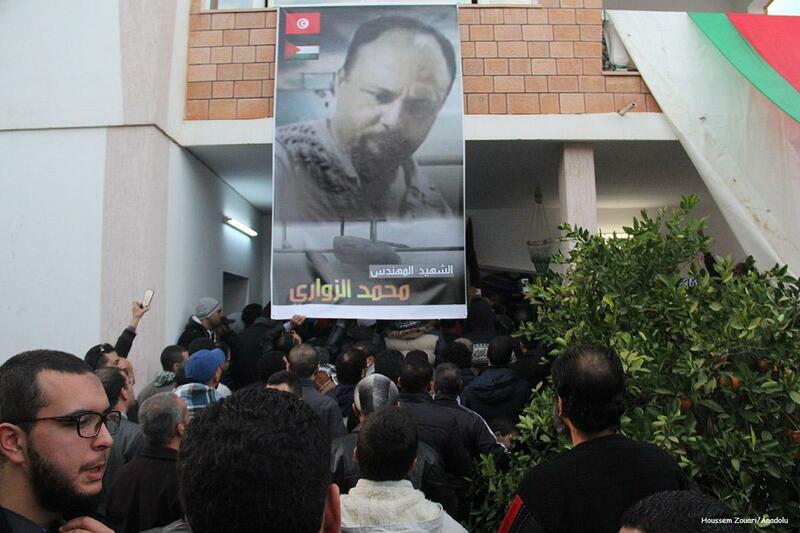 Al-Zawari was targeted outside his home in Sfax, Tunisia, in mid-December 2016. The 49-year-old was an aviation engineer who worked on the development of unmanned aerial vehicles, drones, and was said to be working for the Palestinian resistance movement Hamas. Creative Commons License This work by Middle East Monitor is licensed under a Creative Commons Attribution-NonCommercial-ShareAlike 4.0 International License. If the image(s) bear our credit, this license also applies to them. What does that mean? For permissions beyond the scope of this license, please contact us.